The process is very vague and only Google knows the exact selection principle. Common users can only guess. First. The amount of views is not important. Out of three YouTube accounts, the least viewed has been invited. It got YouTube partnership after only three hundred views and without a single subscriber! Second. The account must be in good standing. Despite having much more views, one of the other two accounts with most subscribers had a copyright dispute for fair use, and the other, even being in good standing, had a matched third parity content id in one of the videos. Third. The channel that received the YouTube partnership had a lot of brand names and valuable items spelled in the video descriptions and tags. I guess that is why it was selected: it’s easier to place context ads in properly tagged videos. Forth. 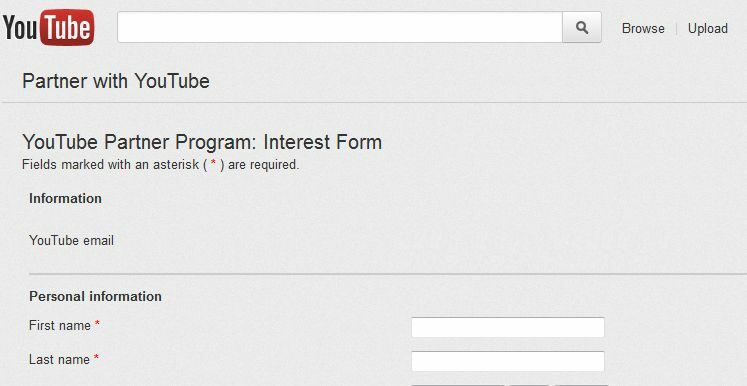 There’s such a thing as YouTube Partner Interest Form. 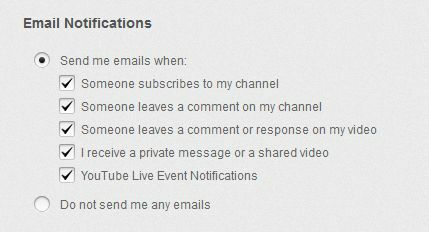 You may access it by clicking Settings->Monetization for yet not partner account. Try filling it in, perhaps you get lucky. So many sources tell you to literally wait for a YouTube partnership invitation in your e-mail box, associated with the YouTube account. Well, that’s totally false and misleading. The account in question had all the email settings turned on, but never received any messages inviting to join YouTube ads. The only place to spot this invitation is the video upload interface. Monetize your videos and grow your audience. Become a YouTube partner today! Make sure you have all ad, flash and redirect blockers disabled in your browser, or the Get started button will do nothing! 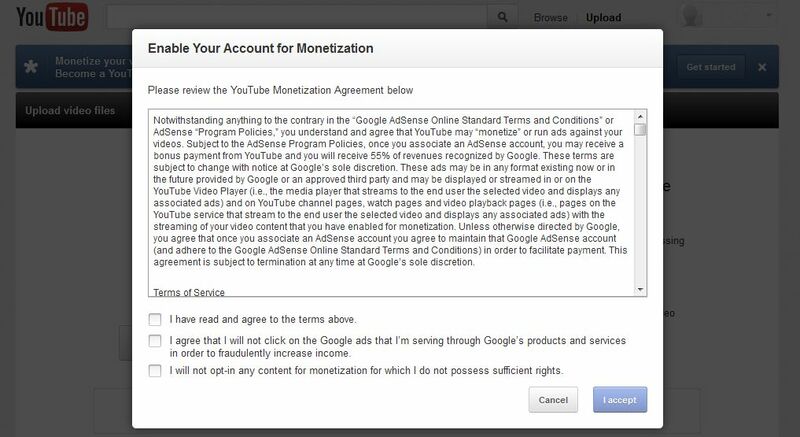 Now you have to agree to YouTube account monetization policy. It is advised to read it carefully, to avoid misunderstanding in the future. Now you get a tip on how to enable monetization of your youtube videos. Go to Video manager, select a maximum of 10 videos, click Actions->Monetize and you’re done. After successful review by the YouTube stuff, ads will be enabled for at least some of the selected videos. 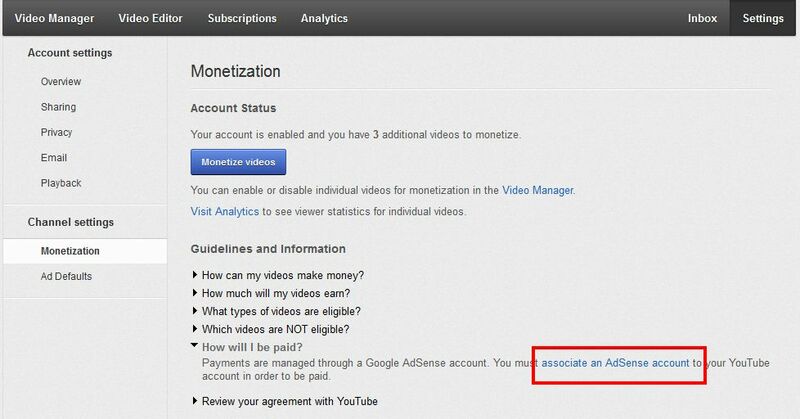 To get paid, you must associate a Google AdSense account with your YouTube account. To do that, go to YouTube account settings and click on Monetize. Then select the How I will be paid question and click on associate an AdSense account link. Now follow the on-screen instructions to create or associate an account. Warning! Do not apply for another account if you already have one! Google policy strictly allows only one AdSense account per user. 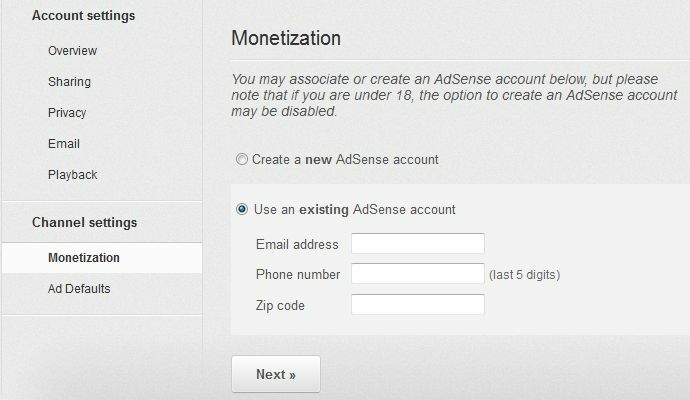 For an existing AdSense account, you’ll probably need to grant access for YouTube to use your account information. 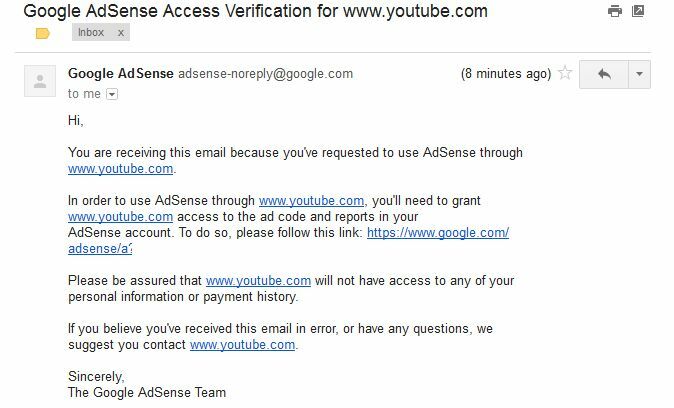 To do that, login into the e-mail mailbox (usually, a Gmail account) and click on the link inside the Google AdSense Access Verification e-mail message from Google. Account associatin will take some time to synchronize. Please note, that the current Google AdSense payout threshold is 100 USD. That means you need to accumulate at least $100 in revenue to receive your earnings. HOWEVER, THE FIRST THING YOU SHOULD TRY TO ENABLE YOUTUBE VIDEO MONETIZATION IS EDITING YOUR CHANNEL DETAILS AND CHANGING COUNTRY TO UNITED STATES. YOUR CHANNEL MAY BE MONETIZED RIGHT AWAY, AFTER ENABLING MONETIZATION YOU MAY CHANGE THE COUNTRY BACK.